Bank Windhoek opened a visiting on-site clinic last week at its Human Capital Department in Windhoek. The clinic is a first of its kind and offers employees, including those of its Mother Company, Capricorn Group, primary healthcare services and wellness support services, delivered by licensed service providers. The consultations for the medical practitioner and registered nurse, will be offered free of charge. “This initiative has been welcomed by our employees who applauded it and promise to make use of its services,” said Bank Windhoek’s Corporate Wellness Consultant, Marjolize Scholtz. Some of the available medical services include: a Chronic Disease Management Programme (CDM); travel vaccinations such as yellow fever or any other vaccine as per destination requirements; in-house health campaigns and screenings i.e. pap smear, respiratory health, flu vaccinations, men’s health, blood tests and more and bi-monthly massages by a qualified therapist. “Employees are the Group’s most valuable assets. 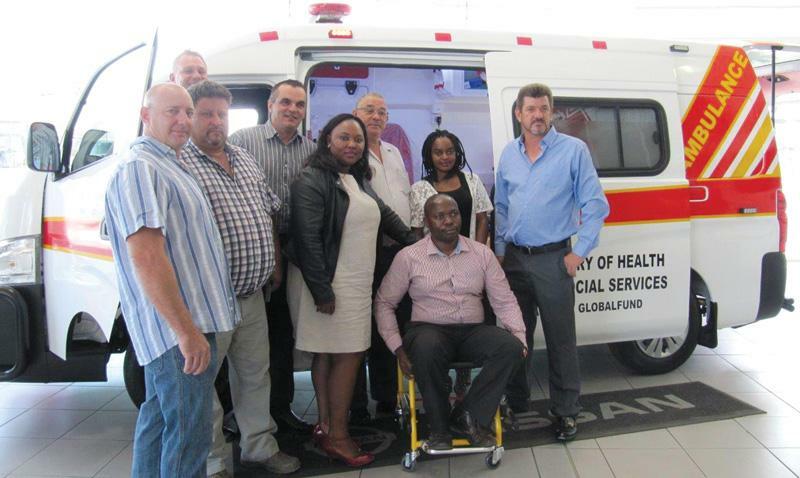 The clinic will strive to continue ensuring that their wellbeing is taken care of,” Scholtz said.